Nelson and Roxie are traveling around the world to try and figure out everything about the H-Dial they share and to maybe find a second one, so they don’t have to share anymore. As they are trying to uncover new things, they are hunted by Centipede, a Canadian spy who has his own powers and his own agenda. 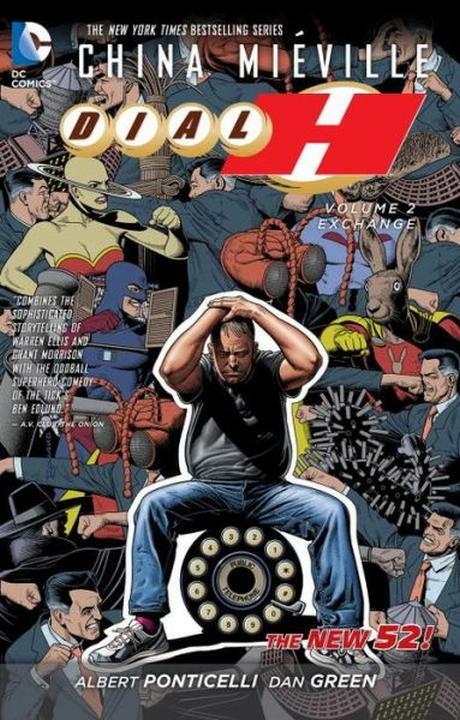 It really is a pity that this series was cancelled already. It had so much promise. And I really enjoyed the second volume, despite a slightly bumpy second half. Milo (Kit Harington) is known as The Celt, a gladiator and the last of his people. Due to his good fighting, he is brought from Britannia to Pompeii where he is supposed to put on a good show. But as Vesuvius rumbles ever louder, Milo gets drawn in the affairs of Senator Corvus (Kiefer Sutherland) who has his eyes set on Cassia (Emily Browning). Cassia herself though is more impressed by Milo. I don’t know what happened but it’s been a while that I brought alcohol to the cinema. 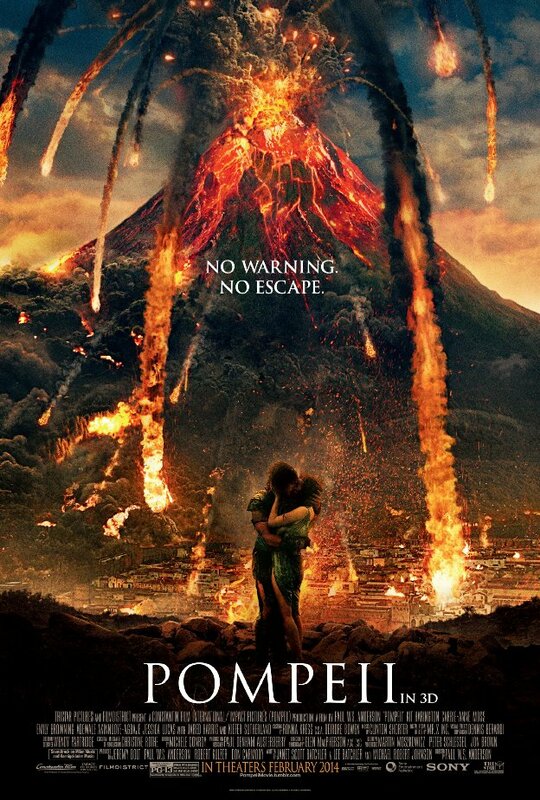 In this case it was an absolute pity – because Pompeii would have been the perfect movie to get drunk to. While it doesn’t quite reach the craptacular dimensions of I, Frankenstein, they do play in the same league. Florya (Aleksey Kravchenko) wants to fight as a soldier in WW2, despite being way too young. And despite being way too young, one rather disheveled group of soldiers takes him on. But the more Florya is drawn into the atrocities of war, the more he realizes the severity of it all. Slowly this takes a toll on his mind. Idi i smotri has its moments but mostly its long and really loud. I could have gone on with my life without problem had I never seen it. In a drunken act of stupidity, Albert’s (Sion Daniel Young) father (Steve North) buys a horse. Unfortunately they can’t actually afford it. But Albert begs until his mother (Josie Walker) allows him to keep Joey and together they find a way. 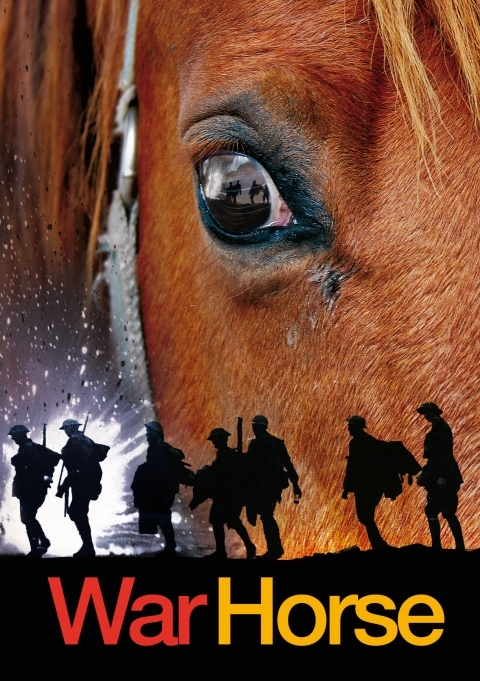 That is, until war breaks out and Joey is bought by Captain Nicholls (Alex Avery) and shipped off to war. Will Joey and Albert ever find each other again? After the movie version I was sceptic about the play. But I wanted to see it anyways because of the puppets. Thankfully, the play has more going for it than the film, even if it did have its lengths. The Guadalcanal is an important strategic point in World War II. 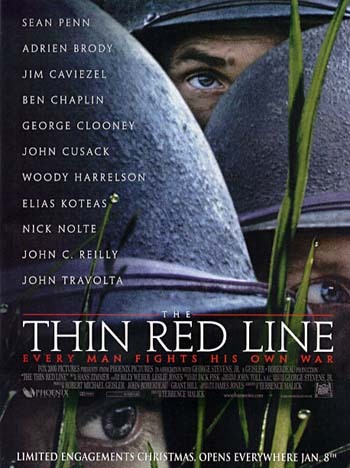 Therefore a group of soldiers is brought in to battle for an airfield held by the Japanese which quickly turns into a slaughter with pressures from within and without rising for everyone. I never liked Malick movies. 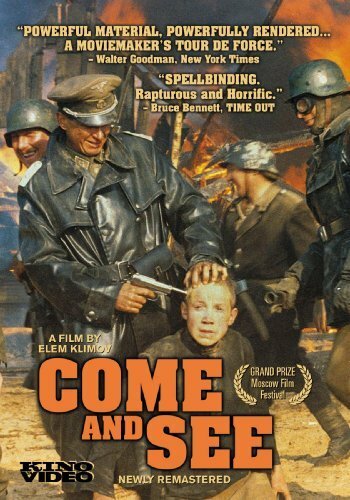 I wanted to watch this one anyway because it’s a classic and so I decided to jump at the chance when it was shown at the Filmmuseum in Vienna. Now that I have seen it, I can say: I really don’t like Malick movies. Irving (Christian Bale) is a con man who finds a new partner in all things in Sydney (Amy Adams), despite being married to Rosalyn (Jennifer Lawrence). But then police man Richie (Bradley Cooper) catches them in the act and decides to use them to convict the mayor Carmine Polito (Jeremy Renner) of corruption. But things keep on spiraling out of control. 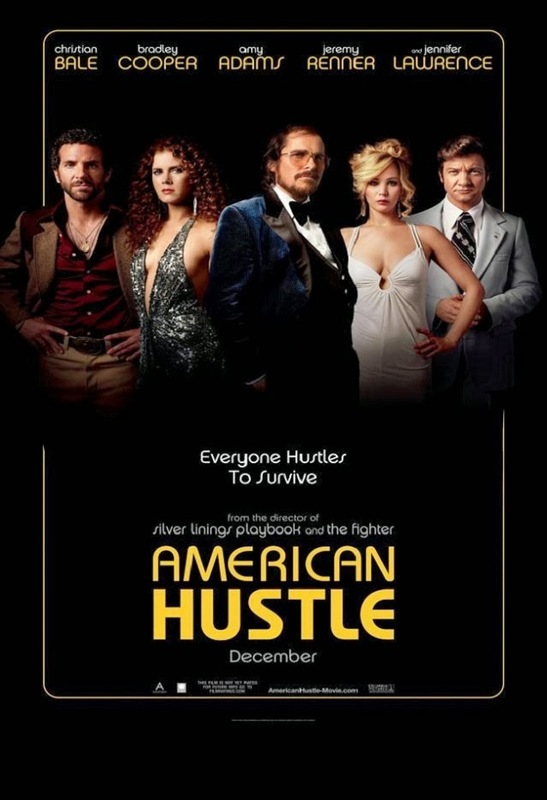 I can imagine that American Hustle would have been a good film if somebody other than David O. Russell had made it. Or if Russell had found a consistent tone in which to tell his story. But as is the movie was just a mess. As World War II is in full swing, the European art collections (both private and public) are methodically plundered by the Nazis. So Frank Stokes (George Clooney) manages to get a squad together, consisting mostly of old men who know their art. They are tasked with saving what is left – from statues to paintings. But even as the end of the war comes ever closer, this is neither easy nor without its dangers. 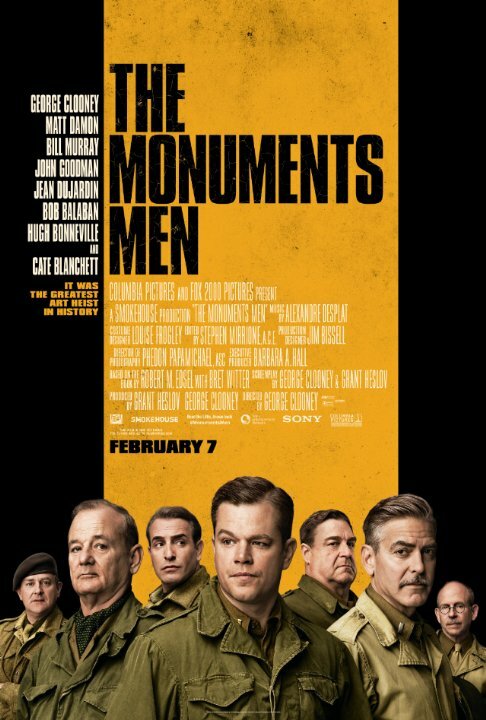 The Monuments Men is a film that is utterly mediocre. (puzzledpeaces called it “beige” and that hits the nail on the head pretty much.) The script isn’t good, the directing isn’t good, the camera work isn’t good – but none of it is all that bad either. It’s a film that tries to be as acceptable as possible to as many people as possible and with that desire loses all shape and impact. Peter Lake (Colin Farrell) didn’t have it easy in his life so far. He’s an orphan who didn’t go through the best part of the system and ended up living with and working for Pearly Soames (Russell Crowe) as a thief. When the two of them have a falling out, Peter runs, aided by a mysterious and magical horse, and ends up robbing Beverly Penn’s (Jessica Brown Findlay) place. 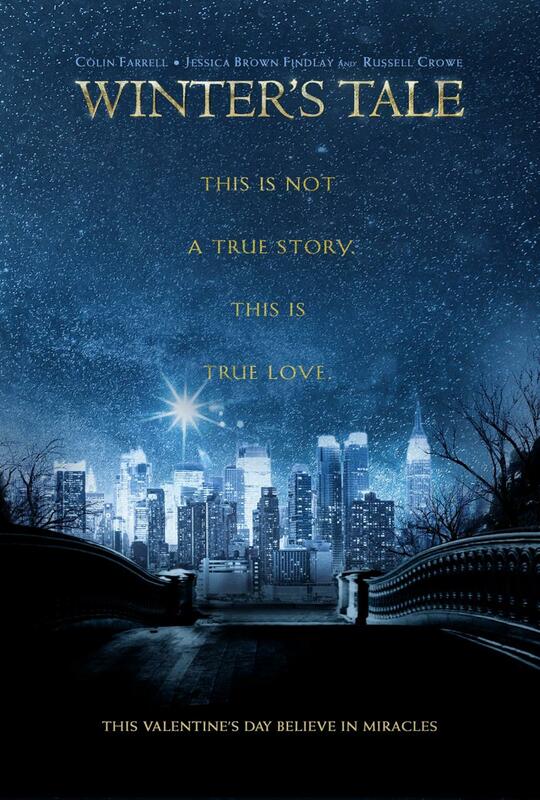 But only until he sees her: Peter immediately falls for her. But Beverly is dying and only a miracle could save her. A miracle Peter might just have in himself. I don’t think I read one good word about Winter’s Tale and I do understand why. The film has issues. But nevertheless I really enjoyed it, sometimes in the way the movie intended and sometimes laughing about the film.